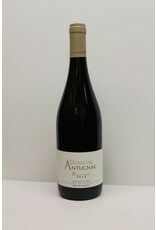 We really liked this Southern French pinot noir from the Huate Vallee de l'Aude. It has many similarities to it's Burgundian neighbors. The fruit is bright and red berry textured. Medium body iwth a little acidity to make it a great food wine.